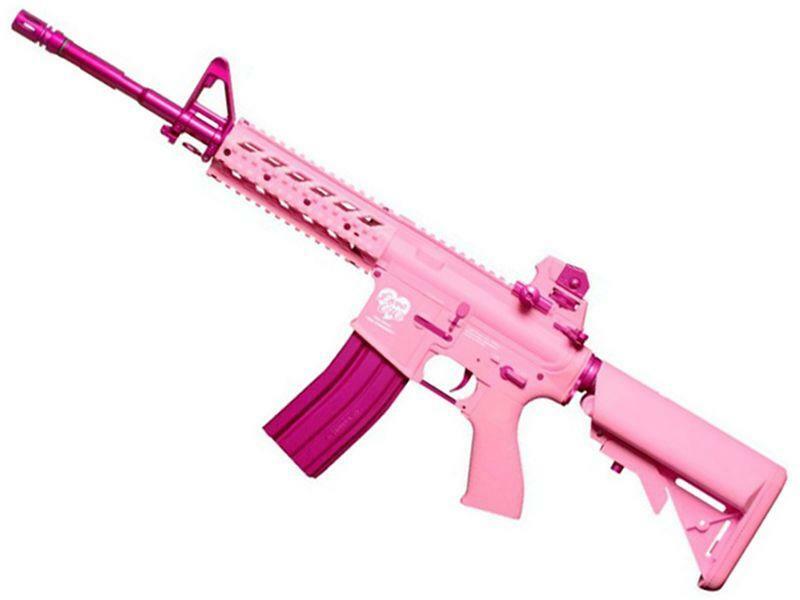 G&G FF15-L Pink AEG Airsoft Rifle | ReplicaAirguns.ca | New Website! Comments: The G&G FF15-L Airsoft Rifle may look pretty, but it sure packs a hell of a punch. This bright pink weapon has a muzzle velocity of 380 FPS and a hi-cap 450 round magazine. The polymer rifle features a metal V2 gearbox, metal barrel assembly, and front and rear sights. The hop-up can be easily adjusted for windage and elevation.